With the end of the co-branded arrangement, Vivint eliminated more than 400 in-store sales positions and related overhead costs. Vivint employees pitched connected-home systems at more than 400 Best Buy stores. 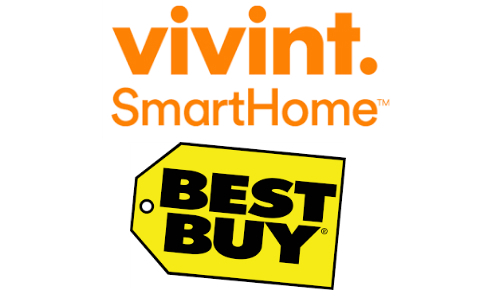 PROVO, Utah — Vivint and Best Buy (NYSE: BBY) have ended an alliance that offered consumers Vivint-branded smart home hardware in more than 400 of the big box retailer’s stores. APX Group Holdings, the parent holding company of Vivint, acknowledged the end of the co-branded “Best Buy Smart Home by Vivint” arrangement in its most recent quarterly earnings report. SSI and sister publication CEPro first reported in January that the two companies had quietly launched a smart home initiative, starting with seven stores in San Antonio, Texas. The arrangement eventually called for Vivint to staff smart home employees in retail locations across the nation to assist customers with making decisions on which hardware and services to purchase. Offering smart home hardware in a major electronics retailer also gave consumers the chance to see devices in person, and likely helped expose less tech-savvy shoppers — who might not seek out such products online — to the breadth of smart home offerings. But the Vivint-Best Buy alliance only had a moderate impact on revenue and sales, Best Buy CEO Hubert Joly told analysts late in 2017, pushing the electronics retailer to pull back from the partnership. By ending the arrangement, Vivint eliminated more than 400 in-store sales positions and related overhead costs. “We believe there are opportunities in the retail channel, and are committed to work towards more efficient ways to better help our customers explore, learn about, and buy the latest smart home products and services,” Vivint CEO Todd Pedersen states in the earnings report. As part of Best Buy’s plan to grow its services business by helping customers solve problems, the company launched its In-Home Advisor program late last year. The service provides free in-home consultations where one of Best Buy’s more than 350 In-Home Advisors suggests products and services for a particular project. That could involve new appliances, a revamped home theater or a smart home system. The company also rolled out Total Tech Support, a subscription service that provides 24/7 support in store, at home, by phone, and online, regardless of where the subscriber bought the product.